More than the bride and the groom, people mostly judge the standard of the wedding by looking at the decor and the set up of the entire event. which generally shows the standard of the wedding. 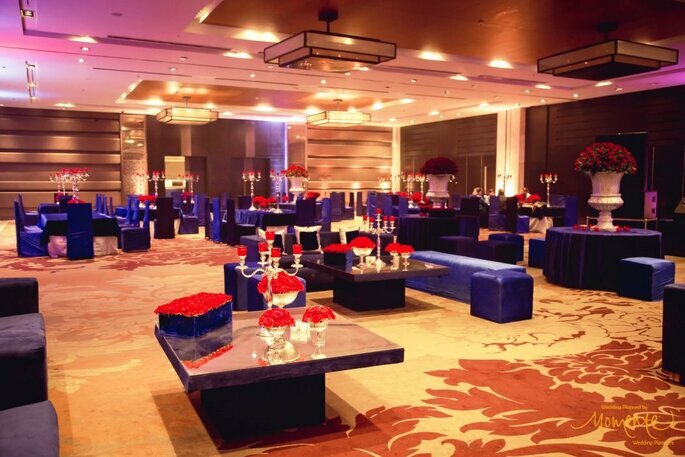 The venue of the wedding and the theme matters the most in this particular case. If the venue is beautiful, the guests are impressed instantly; and if that beautiful venue has an amazing theme and decorations, then the guests have no limit of their happiness. Flowers are the basic decorative items that are used to decorate a wedding venue. When it comes to the floral theme, one needs to keep in mind that there must be various kinds of flowers at the wedding, and not just a few of them. There must be rare flowers, so that the people really appreciate the concept of the theme, and enjoy the party, as well as the ambiance to the fullest. You can also opt for important flowers, so that they give a royal look to the entire concept of the theme! The beach weddings are always fun. They are mostly stylish and fun and people get to wear the light dresses, that they can handle well. These wedding require a minimal amount of decoration that look graceful and elegant at the same time. These weddings are unlike other types of weddings. You can set the mood of the wedding with the food, that is, the sea food. Also, select the right time of the year to get married if you have plans for a beach wedding, as mother nature can not support your decision every time; you will have to check out on the climatic condition of the area of marriage. When it comes to Bollywood, all people can think about is drama. So, the wedding needs to be in a dramatic style. In this, you need to be the lights to be perfectly dramatic, the perfect amount of drama in the decorations, and of course, the drama of the Bride and the Groom. One would obviously want their wedding to be the best, no matter what. Indian Weddings are really incomplete without their ‘Desi’ touch. The Gulmohar flowers with a shade of yellow and orange are all the Weddings all about. 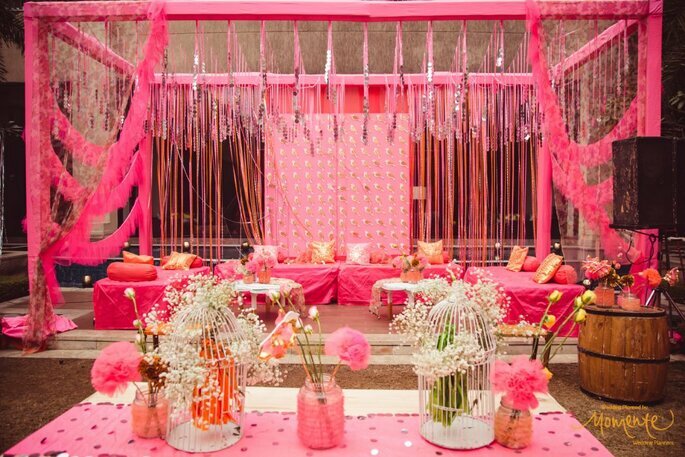 Every Indian wedding, at some point of the functions use this decorative idea, as this shows the desi-ness in a Wedding. It makes the place look like there is a grand Indian Wedding going on. People really appreciate the use of the Indian flowers like this one, as it makes them feel at home, other than alll the other decorative ideas. You can also make a list of the florists in Delhi through Top 5 Florists in Delhi to make your wedding fabulous and make it a memorable Wedding. Wedding decorations are a must in all the Weddings. That is the main source through which people find out about the theme of the Wedding, and they find it really interesting. There are many ways through which you can decorate your Wedding events. Adding a theme to your Wedding would make the event even more interesting!